Historical revisionism is sometimes beneficial. One has to look at new evidence and in its light reinterpret events and challenge previously held beliefs. Historical falsification goes a step further, in that one falsifies original evidence or fabricates “facts” or even acts on personal belief. Though some of the arguments in FYROM, such as the arguments about the Miladinov brothers recording for the first time “Macedonian” folk tales can be considered revisionist and have attracted scholarly debate, reprintings of old ethnological maps with altered labels for the placenames and ethnicities lie firmly in the realm of falsification. We have been accustomed to claims of Alexander the Great or the ancient Macedonians being not Greek but FYROM-Macedonian. 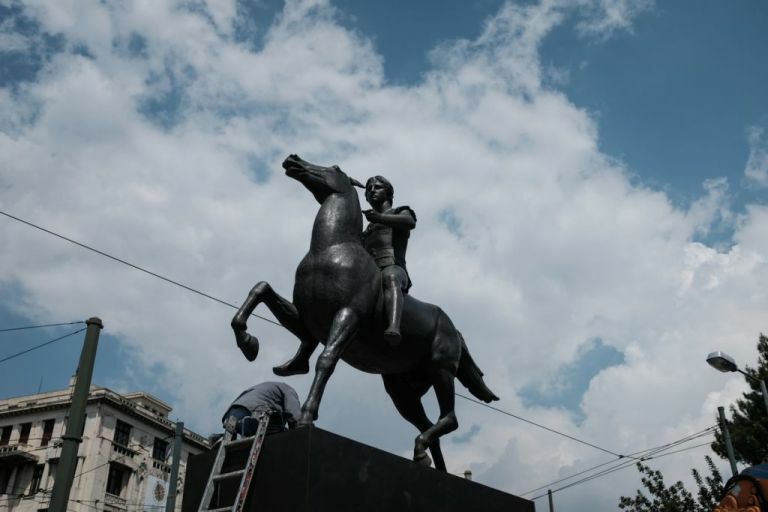 A more recent online diatribe from Risto Stefov gives an account of the FYROM-Macedonian heroes of a 1821-22 uprising in Macedonia: The leaders of the uprising were Marko Bochvaro, Jovan Farmakis, Zafiraki, Anastas Karatasho, Angel Gacho, Dijamandi and the monks of Sveta Gora (http://www.maknews.com/html/articles/stefov/stefov144.html). 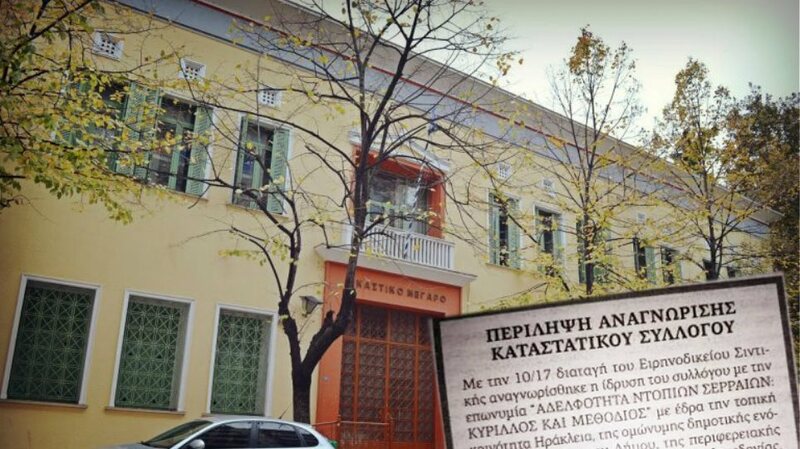 If you think you do not recognise who these were, Risto Stefov means with these names Markos Botsaris, Ioannis Farmakis, Zafeirakis Theodosiou, Anastasios Karatasos, Angelis Gatsos, Diamantis Nikolaou and the monks of Mt Athos. His article “Macedonian Struggle for Independence Part 12: Turn of the 19th Century and the Negush Upris” (he means Naousa Uprising) reads like a comedy of errors in which all the Greek names (including placenames) have been changed into FYROM-Macedonian and the heroes of the Greek Independence have led an apparently FYROMian struggle against the Turks, judging from what Stefov writes. One has to use his imagination to try to identify the actual names of the Greek leaders. We are even being told that the leaders of the rebels took an army of Macedonians (he means FYROMians) with them to continue the fight in the Peloponnese when the FYROMian revolution in Macedonia collapsed. So the War of Greek independence, documented in history for nearly two centuries, in which many philhellenes, including Lord Byron died, has turned into a FYROMian uprising against the Turks for FYROMian independence. As if that was not enough of a historical falsification, Stefov refers to an earlier uprising of the Serbs around 1804-1807 in Belgrade and elsewhere, as FYROMian. The Serbian uprising led eventually to independence and the recognition of the new state of Serbia in 1817-1830. Perhaps the European powers made a mistake not to recognize FYROM instead. The European Powers must have also made a mistake to recognize a Greek Kingdom in the conference of London in 1832 and of course the Sultan repeated the same mistake in the Conference of Constantinople of 1832. They should have recognized FYROM, according to Stefov. Greeks of course, and seemingly also Serbs, do not exist for him. They can be turned into FYROMians by the clever trick of writing their names any way he likes. The Greeks also misled, according to Stefov, European intellectuals such as Percy Byshe Shelley, George Gordon Byron and Johann Wolfgang von Goethe, artists such as Peter von Hess and Eugene Delacroix and the numerous philhellene volunteers who died for the freedom of Greece, to think it was the Greeks who had revolted, rather than the FYROMians. Or elsewhere he accuses the philhellenes for promoting the idea that it was the Greeks who had fought for independence, rather than the FYROMians and Albanians. And yet elsewhere, that the Greeks did not speak Greek but had to learn it from king Otto and his administration, when the Bavarian prince was appointed king of Greece in 1832. Among the sources currently freely available on the internet, Encyclopaedia Brittanica considers Markos Botsaris a hero of the Greek War of Independence: a Suliot who fled to Corfu in 1803 (http://www.britannica.com/EBchecked/topic/75167/Markos-Botsaris). Encyclopaedia Brittanica also refers to Botsaris as a friend of Lord Byron. Markos’s brother Kostas (Constantine) Botsaris, who fought at Karpenisi in a battle that led to the capture of Mustai Pasha and the destruction of his 4000 strong force, lived to become a general and senator in the Greek kingdom. 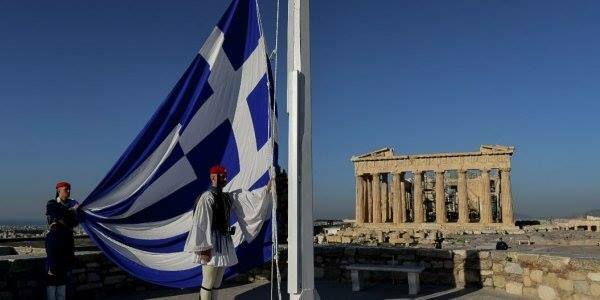 He died in Athens on the 13th of November 1853. Markos’ son, Demetrios Botsaris, born in 1813, was three times minister of war during the reigns of Otto of Greece and George I of Greece. He died in Athens on the 17th of August 1870. His daughter, Katerina “Rosa” Botsaris, was in the service of Queen Amalia of Greece. Aside from contemporary accounts, the Suliotes were considered Greeks even by their enemies. Beli Pasha, son of Ali Pasha, sent letters to his father from April to December 1803 calling the Suliotes “Romans”, “Romioi” and “Romegans” (Romegous), that is, ethnic Greeks. Ahmed Moufit, great-grandson of Ali Pasha’s sister Siachnisa wrote angrily about how the Suliotes invited Ali Pasha’s attack in 1789 because they called themselves Christian Greeks and had become tools of Russia. Markos Botsaris in any case was an Epirotan. The Macedonian leaders of the revolution were all members of the Philike Etairia, and therefore were fighting by definition for the Greek cause. “Fill high the bowl with Samian wine! Byron in the same poem “dream’d that Greece might still be free”. 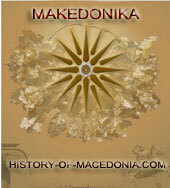 The Macedonians (Greeks) were fighting for the freedom of Greece not for FYROM. Risto Stefov ought to appreciate that this kind of falsification of European history does not serve his aim to promote the image of FYROM. Stefov may rant as much as he likes about the greatness of the ancient and modern Macedonians, but it does not help when on inspection they turn out to be Greeks. He makes his own cause seem foolish. But it is not just that he himself and his uneducated followers seem foolish, rather it reflects upon his compatriots as a whole. Freedom of speech ought to come together with a certain degree of freedom of education and of social responsibility. FYROM needs to exist in the 21st century not just as an ever more bizarre invention in Risto Stefov´s mind. The men Stefov uses for his self-promoting propaganda sacrificed everything with the highest of ideals in their minds. It is an insult to Greeks and to any civilized person that their names are twisted about and their aims turned upside down, as if they had been victims of some indoctrinating campaign fighting for the enslavement of their people or whatever one is to think from Stefov´s un-history. If it were meant only as historical fiction, then Stefov should point this out to avoid misunderstandings. However, in view of his other writings, writing a piece of fiction was almost certainly not his intention. 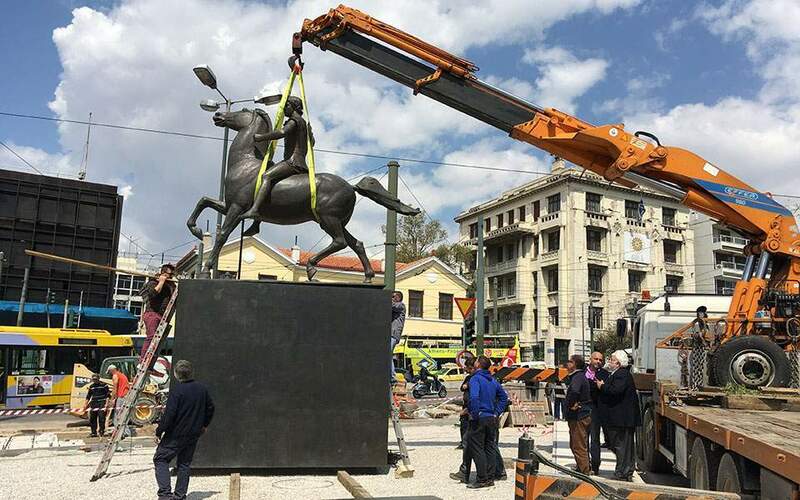 Stefov and his followers need to appreciate that to exist in modern Europe FYROM needs not falsified history but a respect for modern Europe and modern policies.